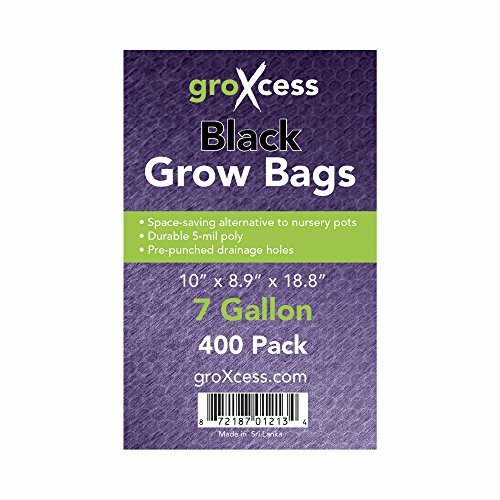 Made of UV-stabilized, 3-mil polyethylene, GroXcess® Black Grow Bags are a space-saving alternative to traditional nursery pots. These grow bags are fluted, stand upright when filled with growing medium and have prepunched bottom holes for thorough drainage. One-gallon bags measure 5.4 inches by 4.9 inches by 12.8 inches. Pack of 1,000.